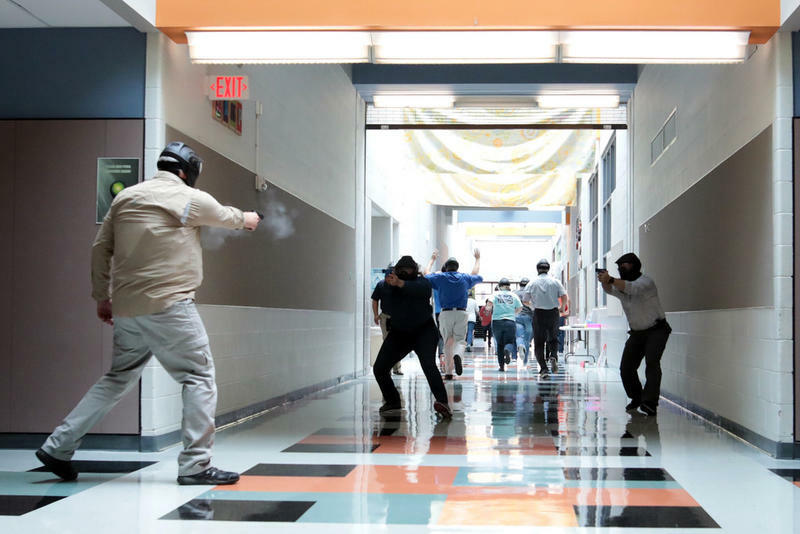 School marshal trainees go through a simulation of an active shooting at an elementary school in Pflugerville last week. RELATED: Students In Texas Are Heading Back To School. So Are More Armed School Marshals. In May, Gov. Greg Abbott, a Republican, appeared to raise the possibility of using the federal grants to pay for school safety indicatives in a 43-page school safety action plan released after the deadly school shooting in Santa Fe. One of the initiatives he recommended expanding was the state's school marshal program, which lets some school districts choose to train some educators and maintenance staff to carry guns. 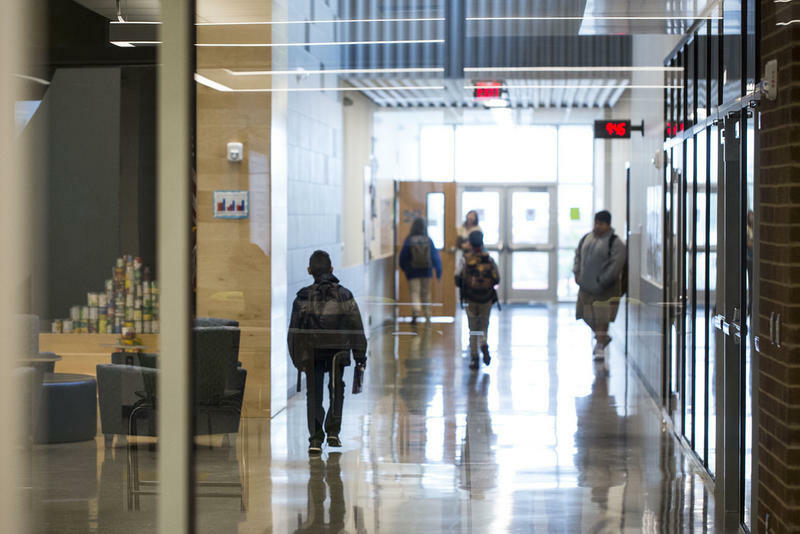 "Governor Abbott will direct the [Texas Education Agency] to modify the school district grant application to encourage school districts to use these additional funds to improve safety on our campuses," he wrote. "A safe learning environment for all students is crucial to advancing the purposes of the SSAE program. To further those purposes, TEA will urge school districts to submit SSAE applications that prioritize increased spending on school safety." 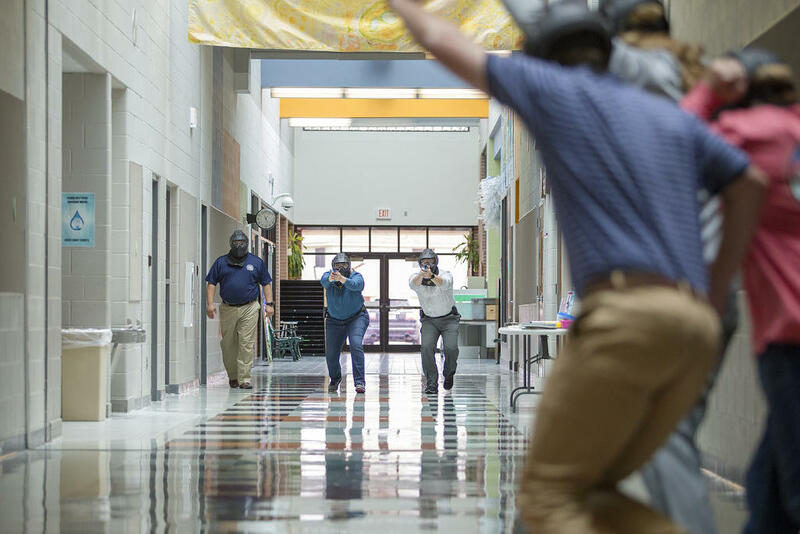 The program has boomed in popularity over the last several months, as well as drawn criticism from educators and activists who argue that arming teachers only increases the access to guns for potential school shooters. A group of law enforcement officers told Texas senators today that they don't think the governor's plan to “harden” schools is the best way to keep students safe. 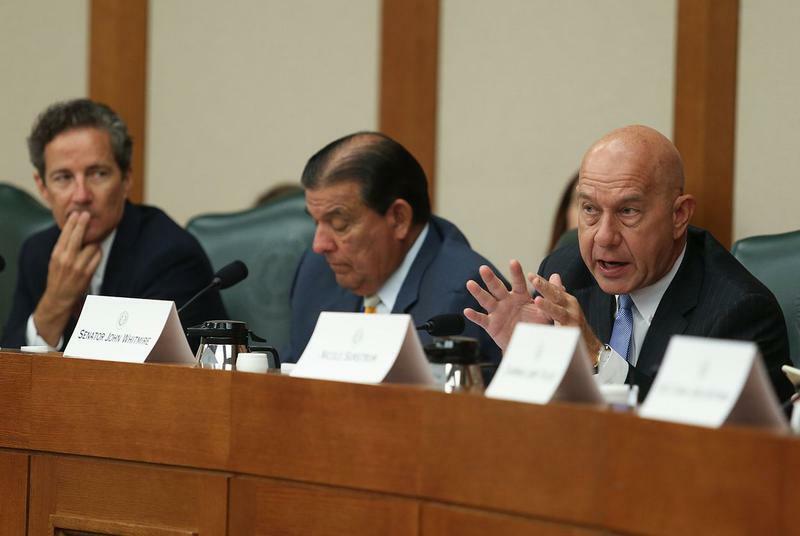 “Give us more campus officers,” Joe Curiel, police chief for San Antonio Independent School District Police Department, told the Senate Select Committee on Violence in Schools and School Security.